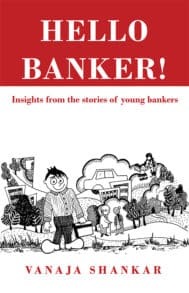 Hello Banker is a collection of short stories about nine young bankers. They come into the banking world with enthusiasm, dreams and aspirations as also inhibitions, doubts and anxieties. I have got a rural posting:will I lose out to my friends in the metro? I am an officer;I want a cabin -why should I handle cash ? I dislike sales:customer dislikes salesman,why should I sell? Can I find a shortcut to customer servicee,sales and growth. There are many more such questions in their minds. You can make a difference whenever you are posted. You can enjoy selling when you understand customer needs. Customer service can be fun,exciting and rewarding.